On May 13, Princeton voters decided to continue their municipal network planning. At the annual town meeting, 91.4% of voters passed Article 4 [PDF], authorizing a new Municipal Light Plant. A year ago, voters approved a measure to proceed with planning. Princeton, a community of 3,300 residents and 1,270 households, has DSL access available to approximately 49% of residents. Satellite, dial-up, and wireless are the other options. Entrepreneurs rent office space in nearby communities with better connectivity. Real estate professionals bemoan bad Internet because it lowers property values. A 2013 survey revealed an overwhelming desire to take action. Residents and businesses want an FTTH option. The Worcester Telegram reported that the community also voted to appropriate $17,000 to make-ready costs, possible legal fees, construction costs for telecommunications huts, and other possible network costs. "Passing Article 4 will allow us to start negotiations with the vendor," said John Kowaleski of the Broadband Committee. "Without passing this article we will have to wait two years to approach this subject again." According to Selectman Stan Moss, the community continues to explore a variety of options. Community leaders have met with several providers to discuss public/private partnerships. Large corporate players, including Charter and Comcast, are not interested in working with Princeton. The community is also considering a pilot project as a starting point. 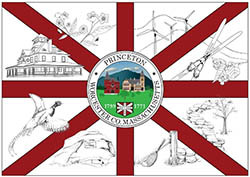 MassBroadband 123, the network of the Massachusetts Broadband Institute (MBI) will soon serve local schools and several public facilities in Princeton (it should be noted that MBI has been saying "soon" for a few years). The schools will transistion from T1 lines to the new MBI fiber. Community leaders hope to eventually capitalize on the infrastructure to reduce overall costs and expand the reach of Princeton's future infrastructure.